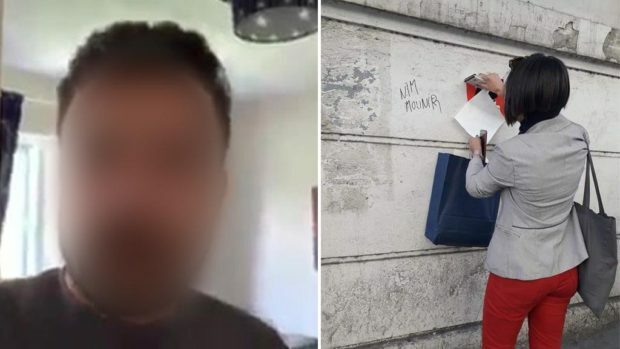 An Algerian man living in the United Kingdom posted a Facebook video on April 3 calling for acid attacks against female activists participating in Friday’s protest. The weekly mass demonstrations, now in their third month, led to the resignation of former President Abdelaziz Bouteflika, and protesters are now demanding an overhaul of the entire political system. In the video, the man, who appears to be in his 30s, said that people would attack the women with “no mercy,” even those standing on street corners away from the center of the protests. “You women calling for freedom and who go out on Fridays to hang posters, who yell at people, and who say you are looking for freedom, freedom for women, I am going to tell you something: you’ll be covered in acid!” the man says.